Home English Lalitha Jewellery Chairman to join YSRCP? Lalitha Jewellery Chairman to join YSRCP? If the latest grapevine is anything go by Lalitha Jewellery chairman Kiran Kumar M Jain is likely to join YSR Congress party shortly. Reportedly, Kiran met YSRCP president YS Jagan during his Padayatra in East Godavari district. Jagan is said to have invited Kiran into his party. The 46-year old businessman hails from Rajasthan. He is based at Chennai but has strong roots in Nellore. He is popular for his social work in Nellore district. So, he is likely to be offered party ticket to contest from the district. 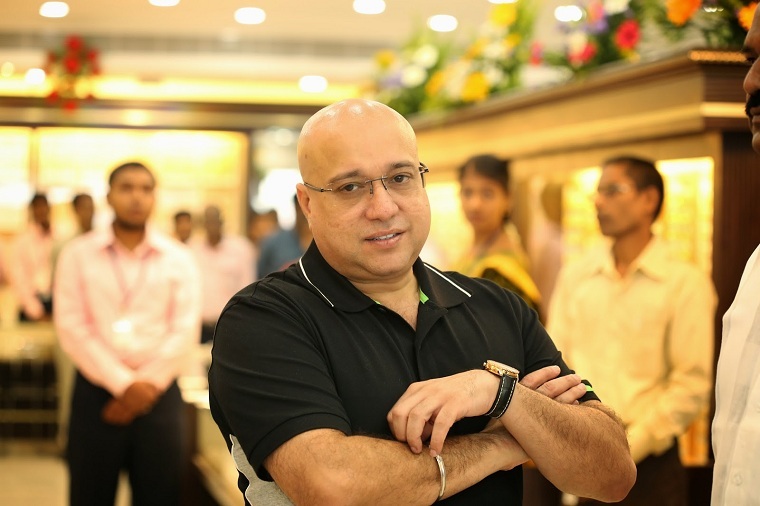 He’s a sound party as Lalita Jewellery’s turnover is around Rs 15,000.